Dresses from the Fall 2018 Bridal Fashion Week have already been released. The Internet is buzzing with 2018 bridal fashions from designers all over the world. But, there are some really cool 2017 wedding jewelry trends from the runway that you may have missed. And, we’re sure you’ll love them as much as we do. Bridal designers and fashion experts travel from all over the world for the bi-annual bridal shows during Fashion Weeks. These runway shows offer us sneak peaks into the bridal gown trends of the upcoming months. 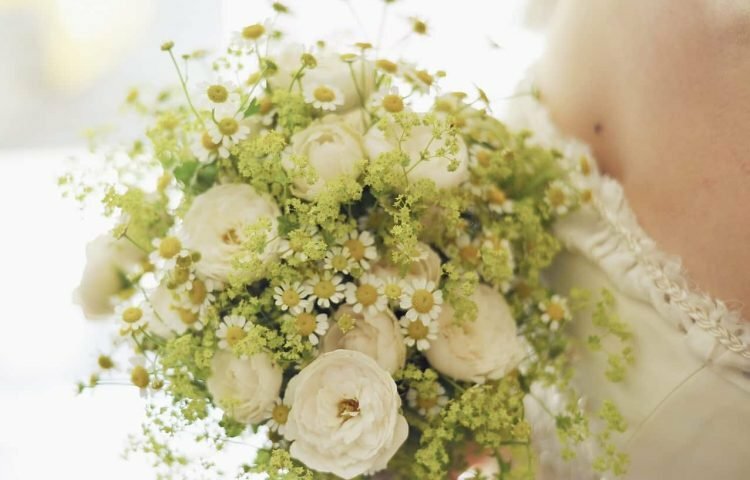 They also give us some hot ideas on how to accessorize on your wedding day and blow the wedding crowd away. Some brides prefer to take the modest route. Others want a look that commands attention. Nothing does this like a choker. These short necklaces were focal points of many 2017 ready-to-wear catwalks. Now, they’re making major debuts on bridal runways too. Go with a wider choker necklace if you’re planning to wear a strapless bridal gown. It will compliment your plunging neckline. A smaller choker chain will work better with a voluminous bridal dress consisting of folds or layers. This will bring balance to your look. Wearing a cocktail ring has always been a trend for brides. But, these days, it’s all about going big. Instead of one simple ring, how about wearing three cocktail rings on three different fingers? This stylish look comes off even better when the gems are colorful, matching the theme of the wedding. 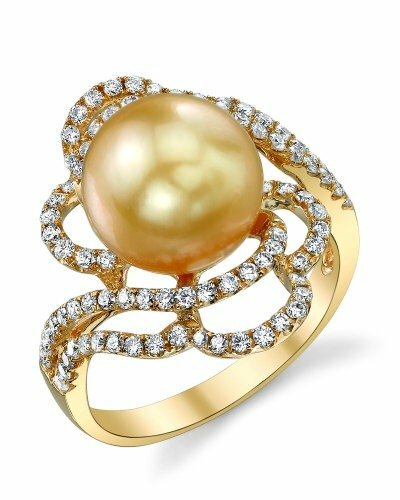 Golden Tahitian South Sea Pearl & Diamond Annabelle Ring from The Pearl Source. Click here to view. If wearing multiple cocktail rings is not your thing, then go with an oversized dome ring or a wide ring band. A cocktail ring will successfully accent any bridal gown with a bunch of surface features, such as dimensional lace or embroidering. Some brides aren’t interested in making huge statements with their wedding day accessories. If this is you, try out some dainty jewelry pieces instead. You can go with a diamond pendant that’s pretty, yet simple, a pair of small earrings and a “barely there” bracelet. 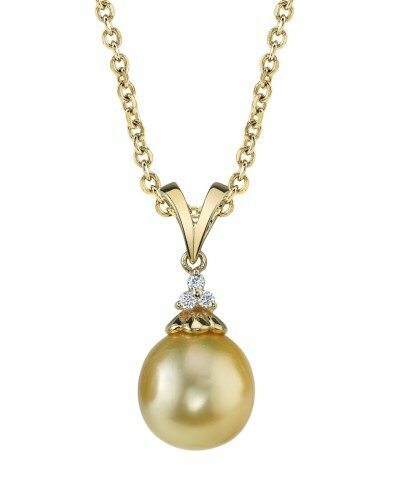 Golden Pearl & Diamond Tracy Pendant by The Pearl Source. Click here to view. These smaller pieces will impress your wedding guest and leave them chatting about your ceremony for years to come. Plus, these delicate pieces add to the vibe of your attire, without overpowering your look. 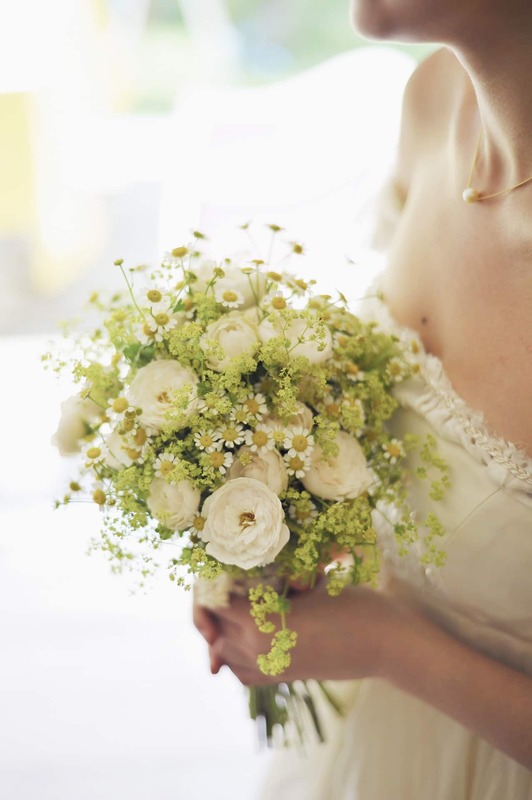 This wedding jewelry trend leaves you with everyday jewelry to wear after the wedding. Not every bride chooses to wear a veil these days. Today, it’s very trendy to team your wedding dress up with a forehead band instead. This type lays much closer to your hairline than typical headbands. Forehead bands give you a dramatic look that stands out like a bride is supposed to on her wedding day. 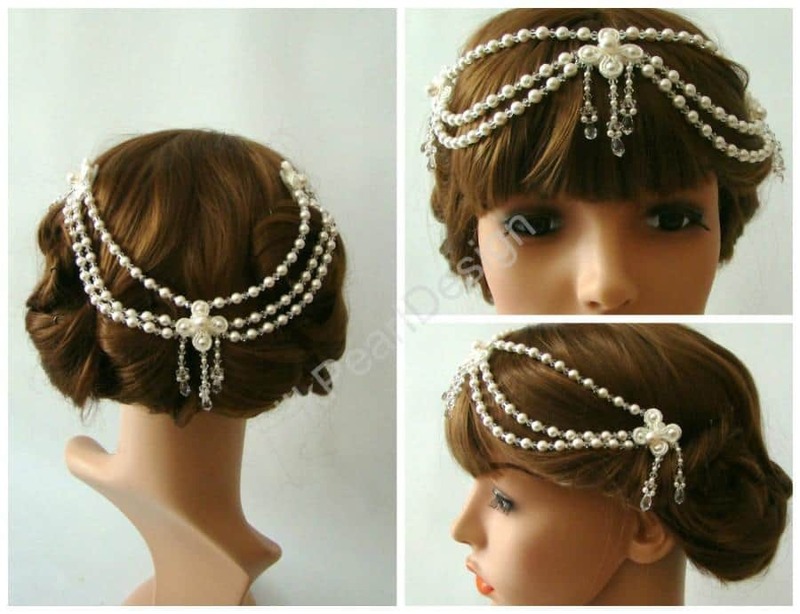 Forehead bands or headpieces give the illusion of bridal crowns. This one comes from Weddbook. Plus, they serve practical purposes as well. These headbands keep your hair out of your face on a windy day. They look good when worn with dark lipstick and other strong makeup. Because it pretty much sits on top of your head, it’s much like the wearing a more trending form of wearing a tiara. 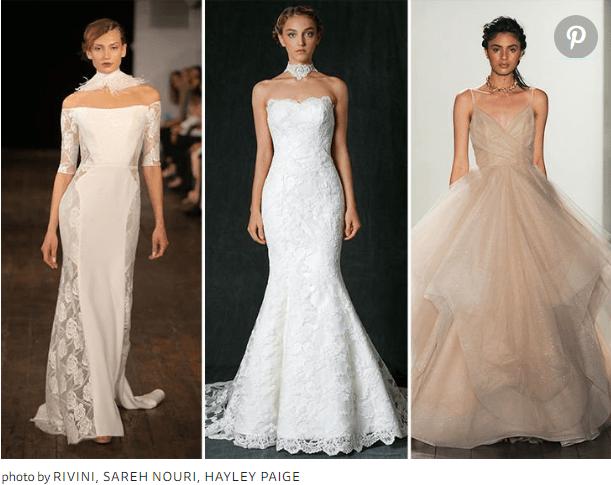 During 2017 Bridal Fashion Weeks, we learned that bigger is better. This was the message related to us by Naeem Khan, Berta, and Houghton where hoop earrings made their big return to the wedding jewelry trending scene. You won’t find big hoop earrings in most bridal shops. 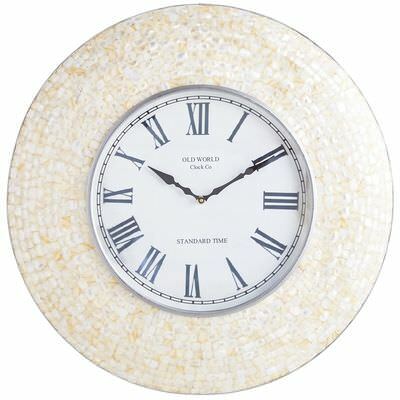 But, modern, slim versions are very stylish for any bride. They will help transform your traditional look into an edgy one. Plus, everyone known big hoops give your look personality. This goes double for brides. Classic brides have always loved the trending chandelier earrings. But, 2017 taught us that their bolder counterparts are even trendier. These are known as shoulder duster earrings. They are long dangling earrings that gently brush your collarbone. Shoulder duster earrings truly make a statement. They magically frame your face. This causes the eyes to be drawn upward. If you’re wearing a wedding gown with an A-line, go with a pair that’s more rounded. For a column dress, danglers with more angular styles are best. It takes truly special jewelry pieces to add the perfect finishing touches to your bridal look. The best way to find the right look for your special day is to play around with various runway and wedding jewelry trends. Pearls are becoming the new trend for brides who want to impress without being so traditional. From romantic pearl earrings to personalized pearl engagement rings, these are trends to watch out for these days. 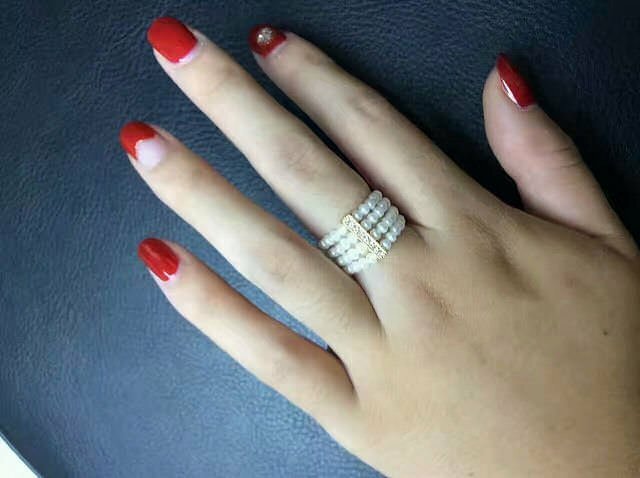 Check out this freshwater pearl wedding band for women. 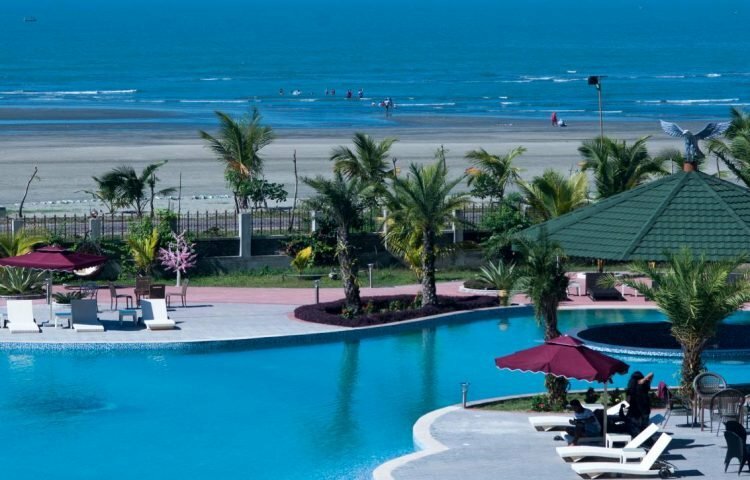 Isn’t it simply stunning?!?!?! We can create one personalized just for you. Today, pearls are the essential wedding gemstone as more and more people shy away from diamonds and their dangerous, anti-green mining methods. 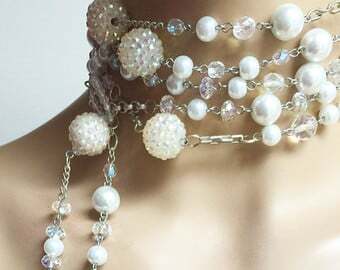 And, pearl jewelry compliments softer colors, taking your bridal look over the top. 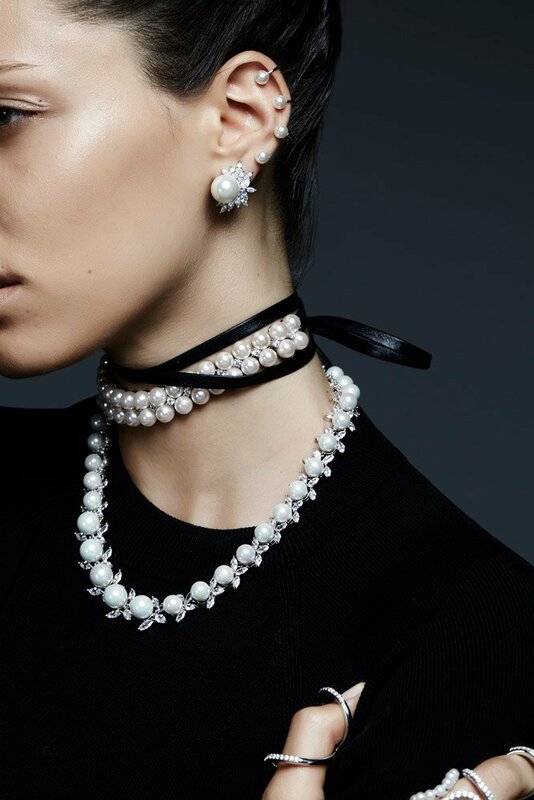 For Fall 2017, The Pearl Source predicts interesting twists on bridal jewelry, including classic pearl earrings and pearl choker necklaces. We can custom create your pearl engagement ring, pearl wedding ring, and any other pearl jewelry. 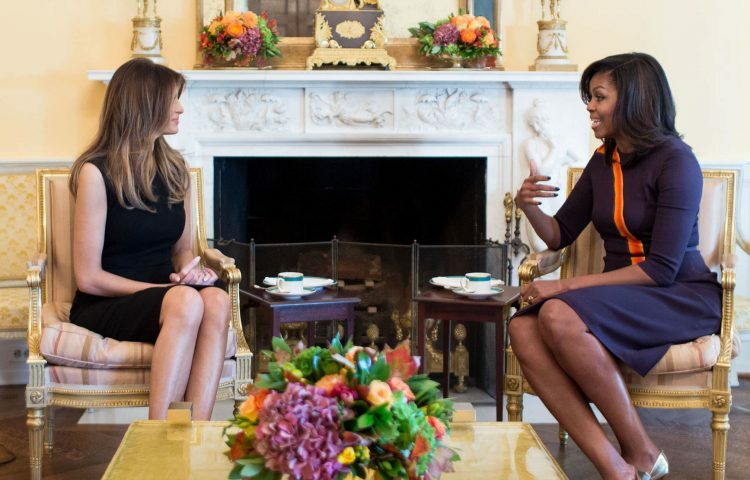 Can Melania Trump Compete with the Former First Lady’s Notable Fashion Style?